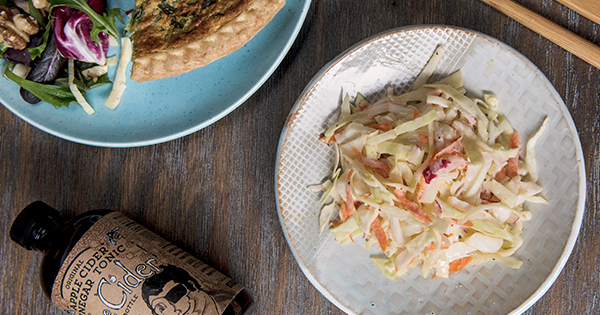 This is a favorite with a slice of cheesy quiche, or in pulled pork sandwiches! 1. 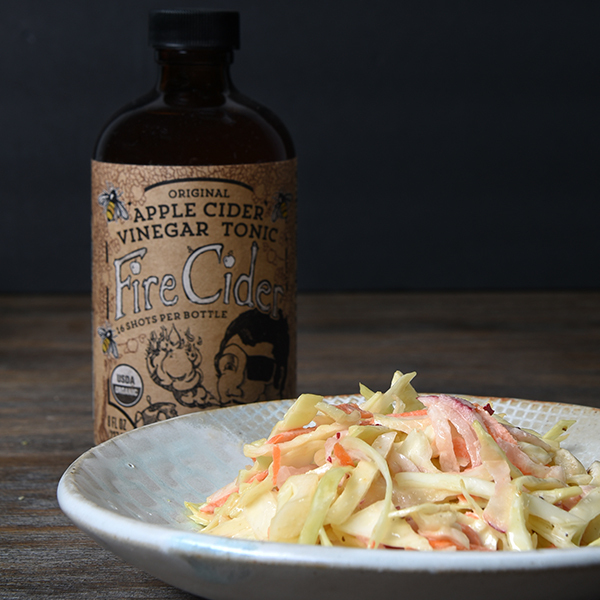 Grate your horseradish and mix it with the Fire Cider. You can alter the pungent kick of the horseradish: wait 10-15 minutes before mixing it with your Fire Cider, the longer you wait the more powerful it will get! 3. In large bowl, combine the mayonnaise, horseradish and Fire Cider mixture, mustard, maple syrup, salt, celery seed, pepper and garlic. 4. Add carrots, radish and cabbage. 5. Stir well to combine. Serve immediately or refrigerate, covered up to 24 hours.